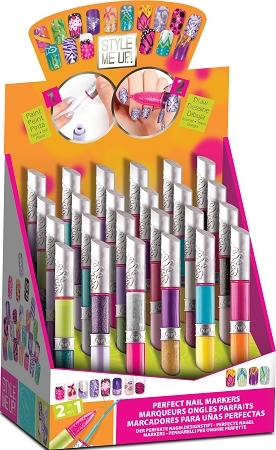 Style Me Up Nail Art Pen Assorted -girls nail markers to create fabulous nail designs with no mess. Perfect nail markers are 2 in one with brush and fine tip applicator. Choose your favorite color purple, pink, green, yellow, blue .